Summer camp jobs offer a unique experience for college aged adults studying any major. Working with children at camp exposes young adults to solving unpredictable problems, becoming positive role models and working under pressure. There is no doubt that working at camp will be one of the hardest but most rewarding (and FUN!) summers of your life. You will meet like-minded individuals who may not have the same end-goals as you but see the same professional value that the summer camp experience has to offer. 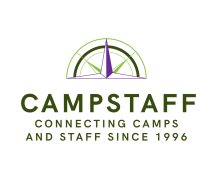 The P21 (Partnership for 21st Century Learning) Framework Studies has indicated that companies and corporations now seek the following skills to differentiate between potential candidates and there is no better place to practice these skills than in a fast paced, dynamic, environment like a summer camp. Develop your skills in Collaboration and Teamwork, Creativity and Imagination, Critical thinking and Problem Solving in a fun, exciting atmosphere while having an impact on future generations. Flash forward to your future interviews, your summer camp experience will give you so many examples to use to portray your skills and differentiate yourself from other applicants!